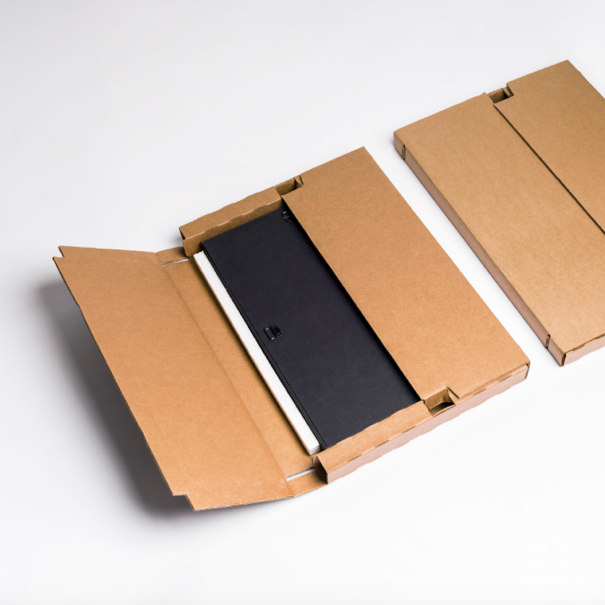 Print Providers are using four types of packaging, which are cardboard boxes, tubes, polyethylene bags or mailing envelopes. Some products might require extra packaging to ensure protection during shipments. For example, mugs, wall clocks and canvases are shipped in cardboard boxes with foam inserts. 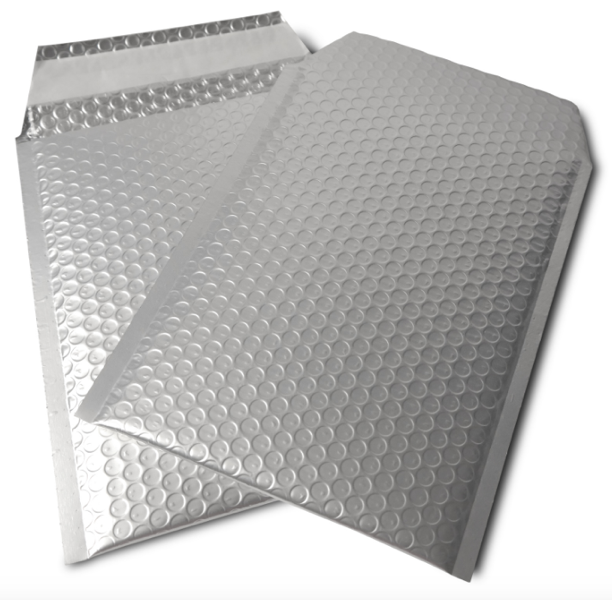 Phone cases, journals and notebooks are shipped in a mailing envelope with a bubblewrap bag inside. 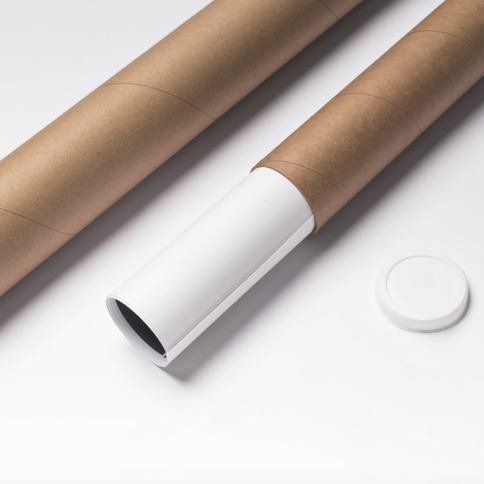 Posters and wall decals are protected with tissue paper and shipped in an extra thick cardboard tube. Please note, there are two types of posters - casual and premium ones. Premium posters are shipped in the tubes displayed below, however casual posters are shipped in a flat cardboard box. Jewelry is shipped in individual organza bags and self sealing poly mailers with high adhesive seal strip. 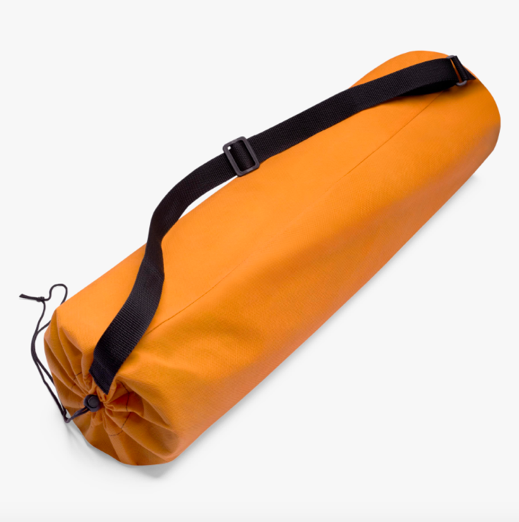 The yoga mat is shipped using a cardboard box, however, the mat itself is rolled and inserted in a canvas fabric adjustable bag with a strap. Please note, actual packaging may vary. If you are interested in checking out what packaging is used for your products, please visit “Product Catalog” → choose a product → “Shipping and more details” → “Packaging”. The only aspect of the packaging that merchants have control over is the shipping label. The label specifies your Store Name and the Return Address. Printify's name does not appear anywhere on the package or the shipping label. Set up your custom shipping label. To change the information on the shipping label, please visit a guide here.